One of my favourite League incarnations going up against one of my favourite characters! Was quite pleased with how this one turned out. The New 52 STORMWATCH title started well but went quickly off the rails, I think. 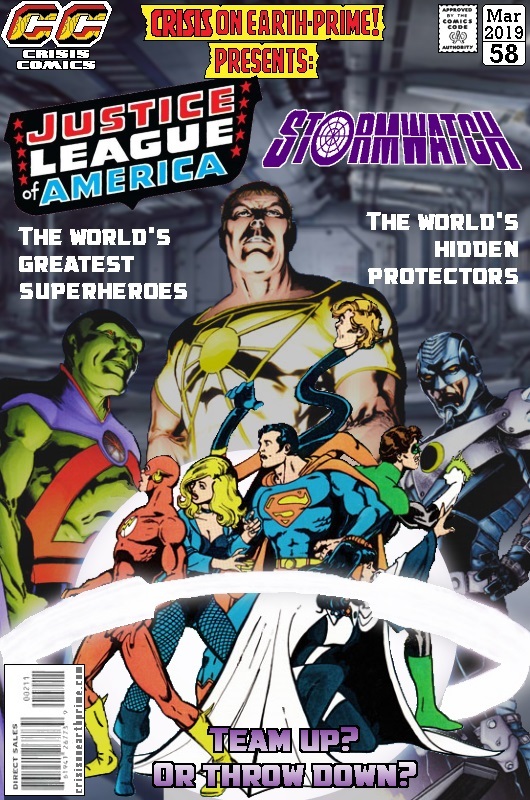 That said, not sure how the satellite era JLA would fare against them. Shrae and many of his monstrous charges have been captured by the mysterious islanders who, as they take the prisoners to their home, walk them through a forest strewn with the wings and halos of angels they’ve killed. Meanwhile, the other survivors plan a rescue of Shrae. Freed from the confines of the ark, Cullen Bunn is able to develop a bigger story, bringing in more plots and characters – the forest with angel wings was a nice, gruesome touch and the hint that there are more creatures alive in the post-Flood world than first thought is intriguing. This series was getting a little tired three or four issues ago but I’m glad I stuck with it as this seems to promise more. Back from his time and planet hopping adventures, Hawkman’s visiting Madame Xanadu in London when enormous Deathbringer robot ships appear above the city. Cue Hawkman jumping into the fray and having his arse kicked by the Deathbringers, now led by his one-time second in command. Something of a place holder issue, this, where nothing much happens apart from what I outlined above. Still, it looks nice. Man-Bat tries his hand at magic, thinking of it as a different form of science, while the rest of the JLD either track down magic users to rescue from the Otherkind, or search for Mordru who may be the key to stopping them. 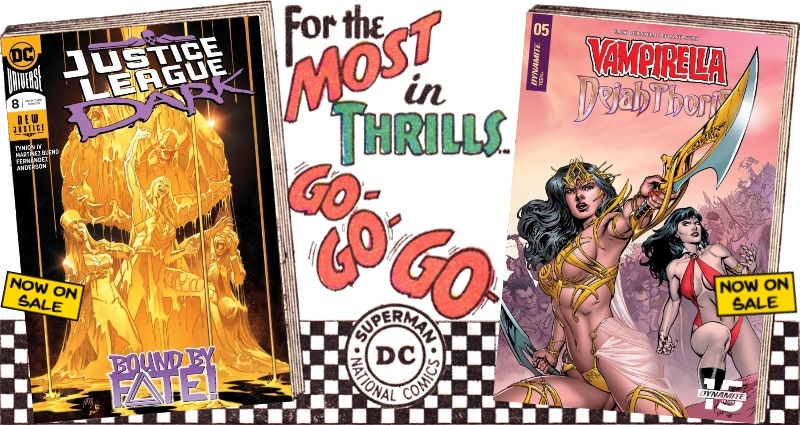 Zatanna and Wonder Woman visit various magical places looking for clues while unknown to them, the Oblivion Bar is attacked, forcing Detective Chimp to take the other magicians through to Myrra, only to find that’s exactly what the hidden instigator behind all this wanted in the first place. 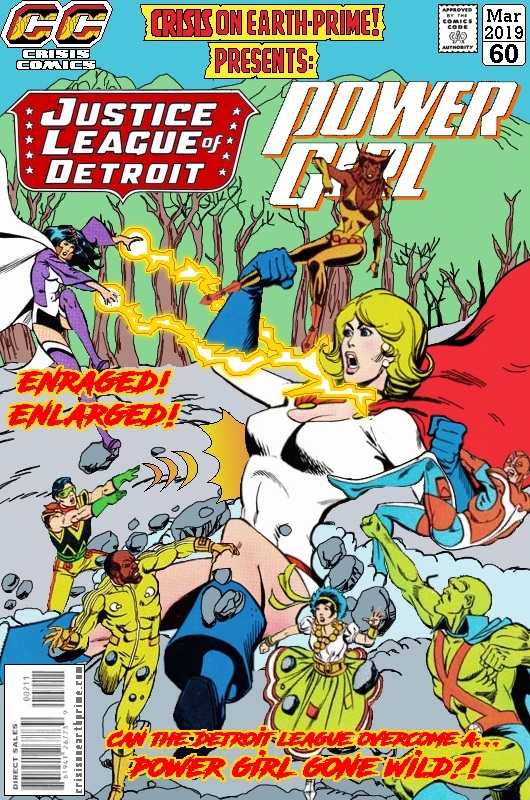 This is still my favourite Justice League title, for so many reasons. The art is just gorgeous – even the weird mini-Swamp Thing gremlins that help wait tables in the Oblivion Bar – and the dialogue is natural and occasionally funny without being forced. Thoroughly recommend this book. Dejah Thoris and Vampirella work together so that Vampi’s fellow Drakulonians are saved from the all-too eager to kill Red Martians, and then manage to restore some water and vegetation to the otherwise barren Mars, before Vampi and her friends leave to head to Earth. The mini-series comes to an end, and it’s been enjoyable enough for what it is, though this final issue seemed a little rushed. 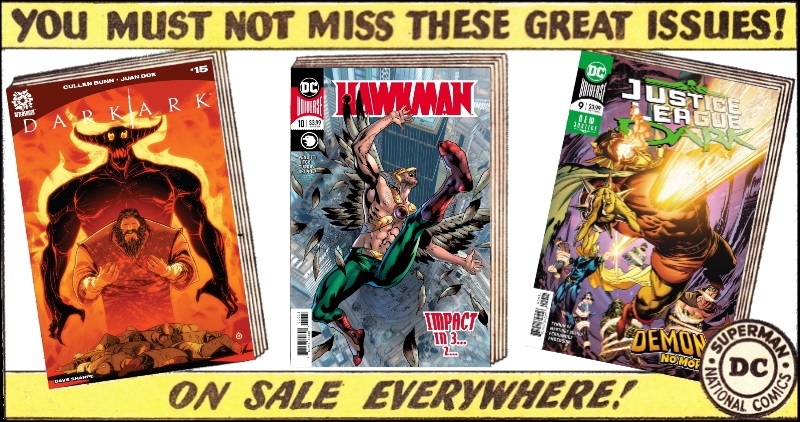 Posted on Sunday, February 17, 2019 Saturday, February 16, 2019 by GaryPosted in ReviewTagged Dejah Thoris, Detective Chimp, Hawkman (Carter Hall), Justice League Dark, Madame Xanadu, Man-Bat, Vampirella, Wonder Woman, Zatanna.